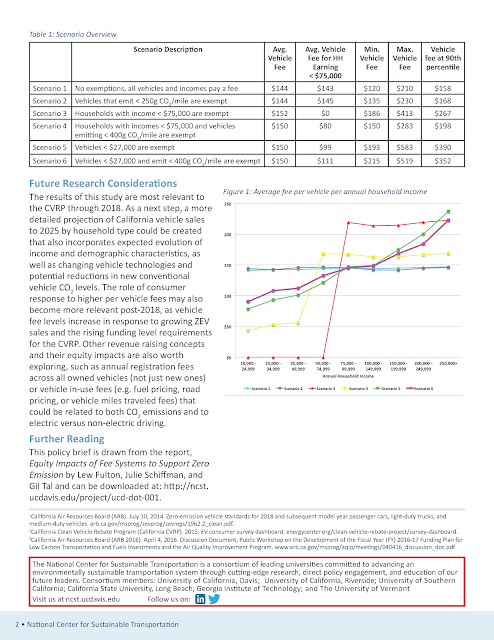 TransportiCA: NCST-UCD: Can California Sustain Its Commitment to Providing Zero-Emission Vehicle Rebates? 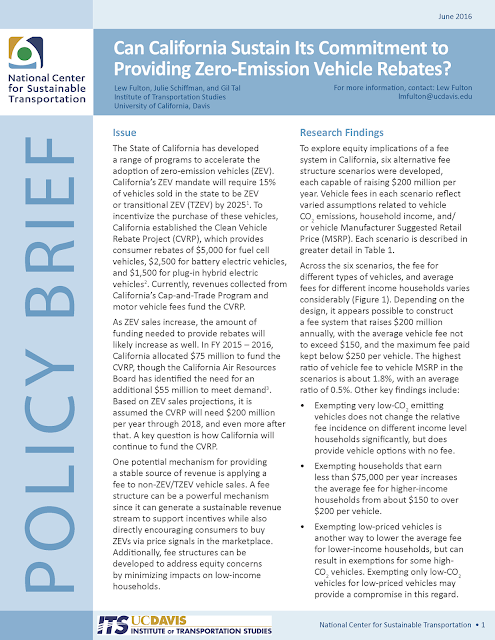 NCST-UCD: Can California Sustain Its Commitment to Providing Zero-Emission Vehicle Rebates? Lew Fulton, Julie Schiffman, and Gil Tal. For more information, contact: Lew Fulton: lmfulton@ucdavis.edu. The National Center for Sustainable Transportation is a consortium of leading universities committed to advancing an environmentally sustainable transportation system through cutting-edge research, direct policy engagement, and education of our future leaders. Consortium members: University of California, Davis; University of California, Riverside; University of Southern California; California State University, Long Beach; Georgia Institute of Technology; and The University of Vermont. Visit us at ncst.ucdavis.edu.